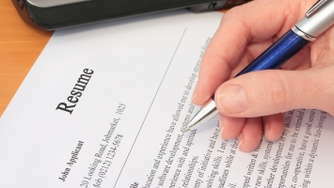 The My Qualifications portion of your cover letter is where you should concentrate most of your work and effort. The Your Needs/My Qualifications cover letter format is the single most effective format if you know and have all the requirements of a given job. It is really a simple process. Take the job description, obtained from the personnel office, classified or display ad, or from conversation with someone who knows, and break it down into fragments under the Your Needs column. Answer each item with an example from your background, skills and abilities in the right hand column under My Qualifications. Within a few seconds, you will have been put in the save pile because the busy resume screener has seen instantly that you at least qualify. Then, if you have focused your resume for the job you are applying for, you have succeeded in getting this potential employer to read your resume, which is the purpose of the cover letter in the first place. The Your Needs/My Qualification cover letter relates you to the needs of this employer.